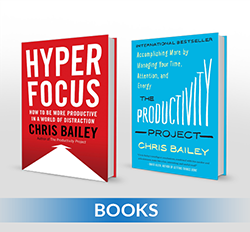 Takeaway: There are two types of distractions and interruptions that derail our productivity—those we can’t control, and those we can. We should proactively deal with the distractions we have control over, and change how we respond to those interruptions we can’t control. Estimated Reading Time: 2 minutes, 9s. 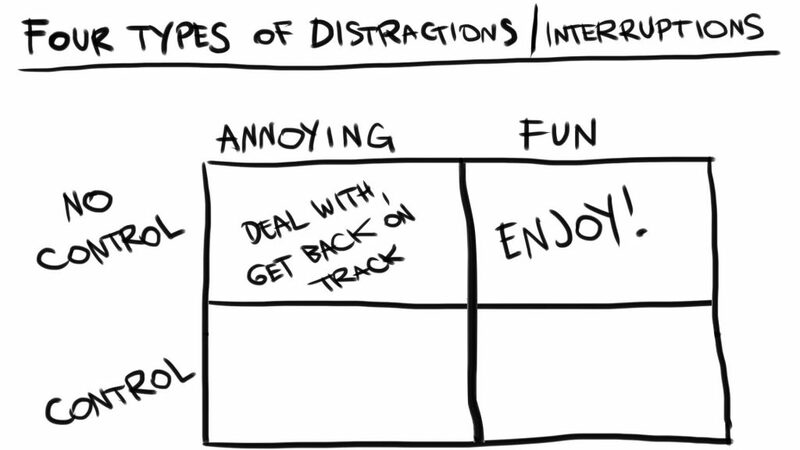 Every distraction or interruption that derails your productivity can be sorted into one of four categories, depending on whether the distraction is annoying or fun, and whether or not you have control over it. 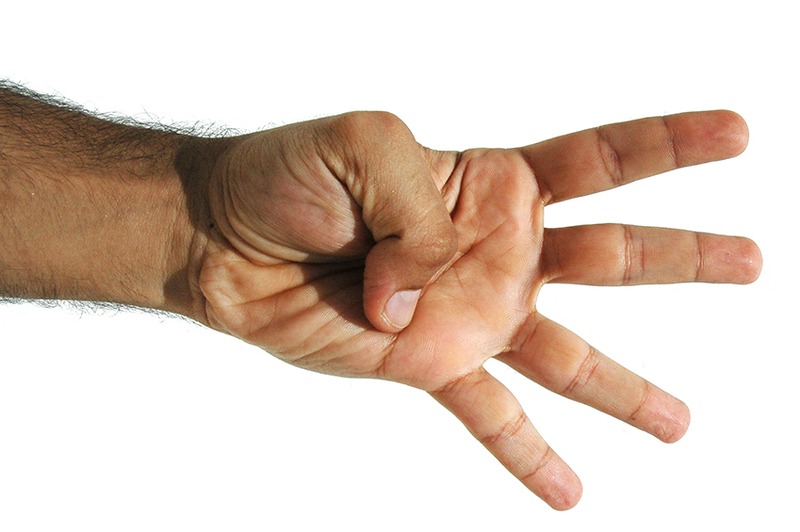 In stepping back from my own distractions and interruptions, I’ve come up with different tactics for how to deal with these four types of productivity hijackers. 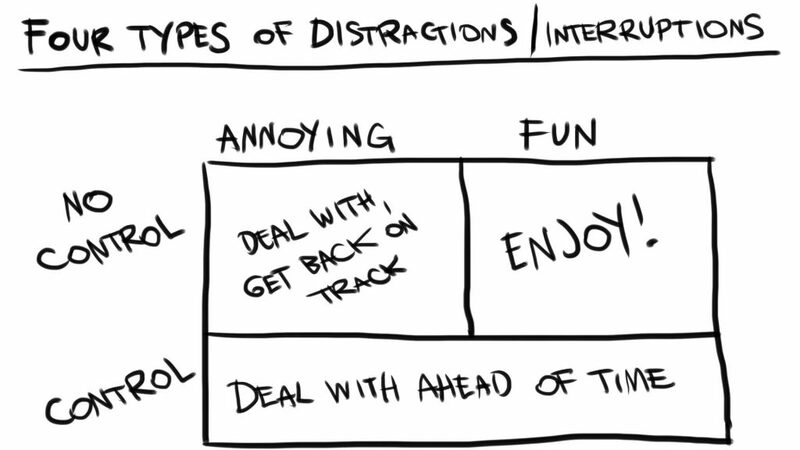 Here are the four types of distractions that derail your productivity, and how to deal with them! It’s helpful to realize there are distractions we can’t control—ones that are both annoying (office visitors, loud colleagues, required meetings), and those that are fun (your coworker asking if you’d like to join the team for lunch). The key to dealing with these derailments isn’t to prevent them from happening—their very nature prevents you from doing so. Instead, it’s up to you to change how you respond—quickly getting back on track after annoying interruptions, and enjoying any fun interruptions that happen to arise. Thankfully, the list of distractions we can control is much longer—it includes emails, phone calls, audible and vibrating alerts, text messages, social media, news websites, and the internet. 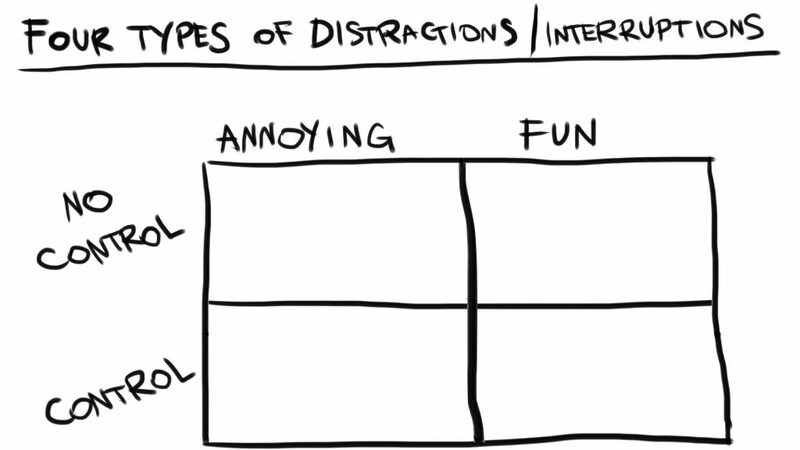 The solution to dealing with these distractions is simple: eliminate the interruptions ahead of time. If you frequently stumble into productivity potholes while on the internet, disconnect while doing your most important work. 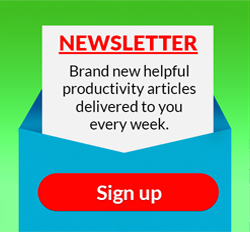 If checking email is eating away at your productivity, or email alerts are preventing you from focusing on your work, disable those beeps and bloops, and turn off the new message notifications that pop into the corner of your screen as you’re working. Schedule a few windows throughout the day to intentionally check your email, instead checking it habitually. Most distractions are easier to deal with in advance than they are to resist as they come up. The reason we often fall victim to fun (or stimulating) distractions is simple: in the moment, we see distractions as more alluring (albeit less productive) compared to what we ought to be doing. Clearing these distractions ahead of time gives us the focus needed to stay on track. The next time you get distracted or interrupted in your work, ask this question: was the interruption within or outside your control? 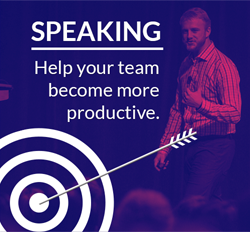 Next time, can you deal with the interruption ahead of time in order to reclaim some productivity? Can you change how you deal with the distraction the next time around, or get back on track quicker? Not all workplace distractions and interruptions are within your control—but many are. It’s worth dealing with them accordingly.